Six months later, the Dakota Access Pipeline proves its value. 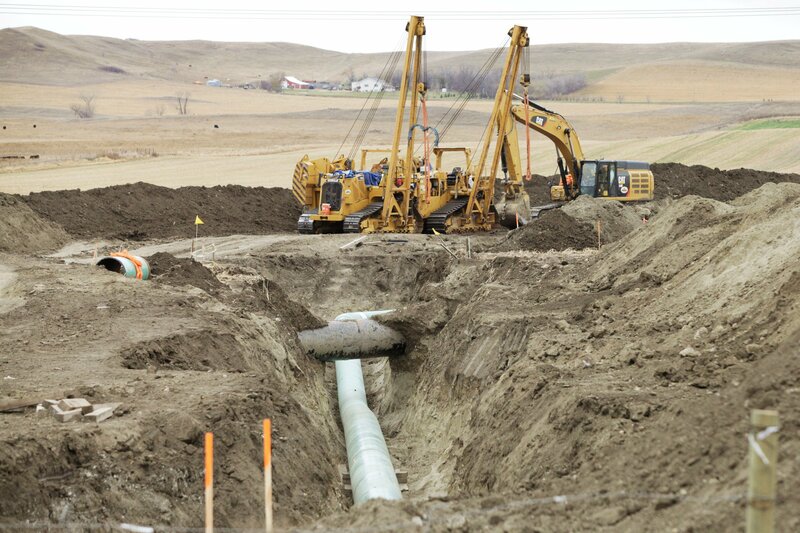 The Dakota Access Pipeline marks six months of operations on New Year’s Day, and new data show that North Dakota is already enjoying major benefits from the $3.8 billion project. The pipeline has significantly lowered energy transportation costs and energy companies to move their oil to the Gulf Coast, where it fetches a higher price. So it’s little surprise that energy production has surged since the Dakota Access Pipeline opened. Between September and October alone, oil production grew by 78,000 barrels a day, the biggest month-over-month increase North Dakota has ever seen. Criminal tactics have become a regular feature of pipeline protests over the past year. In front of an Iowa government building, two women admitted to an eight-month campaign of arson, vandalism and sabotage targeting the Dakota Access Pipeline. “Some may view these actions as violent, but be not mistaken,” said Ruby Montoya, 27. “We acted from our hearts and never threatened human life nor personal property.” But Ms. Montoya and her cohort, 35-year-old Jessica Reznicek, admitted they had engaged in election-night arson that destroyed several pieces of heavy machinery and caused as much as $2.5 million in damage. They also said they had repeatedly used oxyacetylene torches to cut through pipe, delaying construction for weeks. And they claimed they had deployed gas-soaked rags and burning tires to destroy electrical units and construction equipment along the Iowa portion of the pipeline’s 1,172-mile route. Ms. Reznicek said she hopes her confession will “empower others to act boldly, with purity of heart,” and commit similar acts of vandalism. Even as they spoke, the two women took out a hammer and crowbar, tearing apart a sign on state property before they were arrested. Over the past year, pipeline opponents have resorted to unlawful tactics with alarming frequency. The environmental left, which has made a special cause of pipelines, assumes that if it can disrupt the transportation of traditional energy, oil and gas will remain trapped in the ground. The most serious incident took place several months ago in Citrus County, Fla. Antipipeline activist James Leroy Marker used a high-powered rifle to damage the Sabal Trail Pipeline. He then fled in his car, spurring state troopers and sheriff’s deputies to give chase. When Marker finally stopped, he “engaged the deputies and the trooper, armed with a firearm,” the sheriff’s department said. The officers shot him dead. Though some environmentalists decried Marker’s actions, the response was far from unanimous. A video posted to the Facebook page of the green nonprofit Balance for Earth lauded Marker as someone who “stood up and took an action on behalf of all of us.” It was viewed more than 48,000 times before its quiet removal. Pipeline protesters also targeted Michigan’s attorney general, Bill Schuette, last summer. Video shows some 60 people congregating outside Mr. Schuette’s home, shouting obscenities and ignoring authorities’ orders not to trespass on the lawn. The protesters smeared chocolate syrup on Mr. Schuette’s driveway and windows, toilet-papered trees, dumped glitter and trampled the grass in his front yard, and pounded his door loudly, frightening his wife. “If public officials continue to threaten our safety, then we will continue to threaten their security,” one protester proclaimed. The Dakota Access Pipeline has been the most high-profile of these controversies, with the media credulously repeating activists’ assertion that they were peaceful and prayerful. The actions of the two women in Iowa are only the latest contradictory example. In North Dakota, crime became a regular feature of the 233-day Standing Rock protests, which drew as many as 10,000 activists. The protesters overwhelmed local authorities, and North Dakota had to summon law enforcement from other states to help keep the peace. Other Standing Rock protesters threw Molotov cocktails, rocks and logs at law enforcement and consistently trespassed on private land. Local ranchers reported stolen property and slaughtered animals, while businesses told of death threats they’d received in retaliation for their support, real or imagined, of the pipeline. Activists also doxxed local law enforcement, sending at least one police officer’s family into temporary hiding. After more than 600 arrests, the protests drew to an anticlimactic end in February. 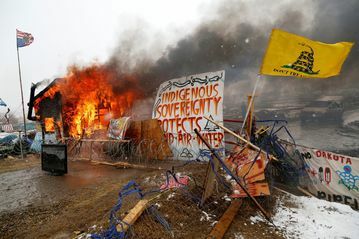 The self-proclaimed “water protectors” left behind 9.8 million pounds of garbage, including abandoned vehicles, tents, portable heaters and plastic tubs. North Dakota scrambled to clean up their detritus, fearing contaminated snow would melt and run off into the Missouri River. Some activists also abandoned their dogs, including several puppies, when they left their frigid protest camp. It’s an odd way of protecting the environment.